Mississippi row-crops producers must manage a variety of factors over several months to reap what they sow. Controlling weeds effectively and efficiently is one of their primary concerns. MSU Extension specialists and agents share science-based information related to pre- and post-emergence herbicides, new technologies, crop injury, cover crops, crop rotation, and herbicide-resistant weeds through field days, workshops, on-farm demonstrations, “turnrow talks,” and the Mississippi Crop Situation blog. An additional certification requirement from the U.S. Environmental Protection Agency is now in place for individuals who plan to apply dicamba in Xtend cropping systems. STARKVILLE, Miss. -- There's always something for farmers to monitor or manage, and in many row-crop fields across the state, weed control is the big concern of the moment. Jason Bond, weed scientist with the Mississippi State University Extension Service, said rains that keep machinery out of the fields allow time for weeds to grow rapidly. STARKVILLE, Miss. -- Two highly anticipated online training modules are now available for those who plan to purchase or apply dicamba and similar herbicides. 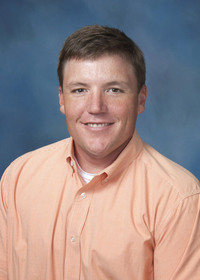 The Mississippi State University Extension Service, in cooperation with the Mississippi Department of Agriculture and Commerce Bureau of Plant Industry, developed these new online training courses related to herbicides labeled for use with dicamba-tolerant cotton and soybeans in response to label changes from the Environmental Protection Agency. STARKVILLE, Miss. -- In response to new Environmental Protection Agency regulations on the use of the herbicide dicamba, the Mississippi State University Extension Service is developing two online training courses to help cotton and soybean farmers follow the new rules. STARKVILLE, Miss. -- Producers who plant winter crops with no intention of harvesting them reap the benefits of soil conservation, weed control and nutrient retention. On the flip side, however, the practice of almost constant production in a field creates issues with pest management. Farmers who “plant green” have to balance these challenges to best prepare the way for good crops each year.